Who is Baker Door Company? Working with Baker Door Company means working with an experienced garage door company. Since 1960, we give a personalized and professional service to our clients. You can expect that we will provide you with quality work and that we can help with your garage door needs. Call 717-901-4056 today; our technicians are ready to help you right now! 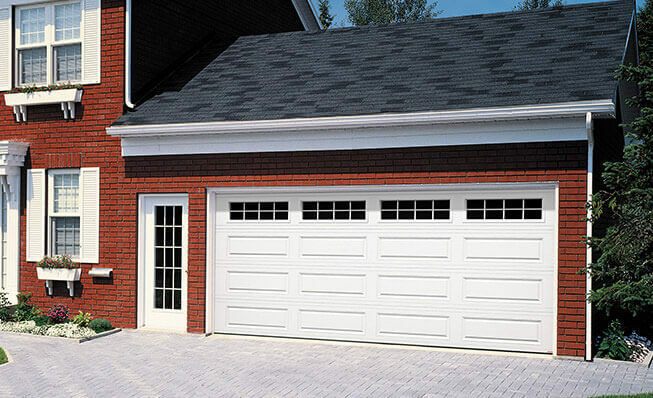 Naturally, you want to have a garage door that will fit your house style perfectly. Fortunately, we have something for everyone. You probably live in a Craftsman design house with your family, the architectural style you can see the most in Shiremanstown. As every home is as unique as you are, be sure to check out our image gallery to get a closer look at what we can offer. We never no know when a problem will occur with our garage door. At Baker Door Company, we thrive at making ourselves available for customers 24‑hours a day, any day of the week for emergency repairs. If you need a garage door repair service in Shiremanstown, you can fill out our online form, or you can call 717-901-4056. We serve the areas of Mechanicsburg, Camp Hill, Harrisburg, Carlisle and more. Your needs can be very different and can go from broken springs to changing the garage door opener. We are specialized in garage doors, and we carry the replacement parts needed for making repairs, as well as décor that can help to make your door truly your own. Do you know that windows can be added to your garage door to change its look? Call our technicians for more details. The Standard+ Series from Garaga is perfect to meet homeowners needs. With its 14 different door models, R‑16 insulation, 10 different colors and a wide choice of decorative windows, you will find the perfect garage to fit your Craftsman home style for sure. If you need an expert for your garage door installation in Shiremanstown, think of Baker Door Company. LiftMaster garage door openers are an excellent solution for your garage door system. We offer a variety of their affordable and reliable residential garage door openers. Whether you need a new garage door opener or someone to service and repair yours, contact us. Central Pennsylvania area including Mechanicsburg, Carlisle, Harrisburg, Hershey and more.